Looking for a hairdresser in Perth that provides high quality services? Here you will find more information about our premium quality hairdresser services. Hair Outaquin’s clientele mainly have colour and haircut services in the salon with over 75% off all our clients having hair colour, but that is not all we do. Hair Outaquin also have a few very popular specialities. 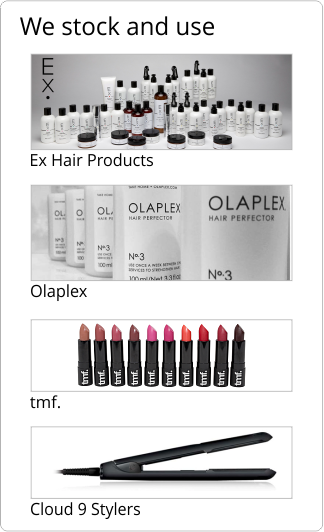 These include Permanent Hair Straightening, Keratin Smoothing, Hair Extensions, Xtenso, and Olaplex. We are the No 1 Hair straightening/smoothing salon in Perth. We will be adding to these pages over time. Unlike a lot of hair salon web pages the pictures you will see are all our own clients. Real people real hair achieved in a salon appointment.